Massachusetts Builders, Get Your Online Continued Education Done With Ease! Greg MacMaster from Eagle Eye Drone Service in Traverse City, MI, is our featured instructor in the new course that focuses on drones in Real Estate. This course covers everything from the different types of UAV/Drones to the benefits of using drones in the real estate market. And 4 hours of required continued education! This course will answer questions like “Which drone is right for me?” and “What is it that I want my drone to do?” In real estate, drones not only allow Realtors to show an aerial view of the house and property but it is also a great marketing tool. The usage of drones is probably one of the biggest advances in real estate marketing in the last 10 years or so. 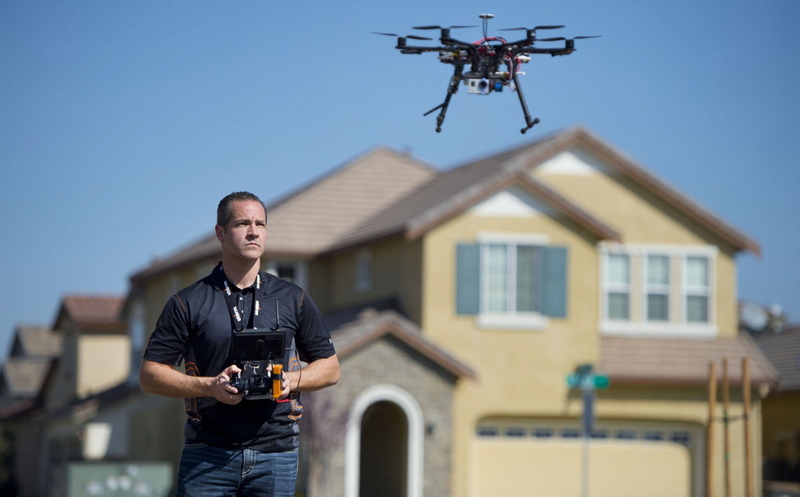 Why use Drones in Real Estate Marketing? Prior to the use of drones in real estate, it would cost upwards of thousands of dollars to get aerial footage of a listing. Drones changed everything. Now, even the most modest priced listing can have the same 1080P aerial images, taking your listing a step above the rest. What is it I want my drone to do? This course will answer questions like these and many more. Greg MacMaster does an excellent job of covering important topics in this introductory course. As someone who has taken “Drones in Real Estate”, I can honestly tell you that this course educated me on the benefits of using drones to market many properties and more. So, don’t miss out on this opportunity to get a leg up on the usage of drones in real estate and marketing, sign up today.